So you’ve launched your startup and now the conversation shifts to acquiring your first set of customers – how will you attract people to use your service or product offering? If that’s a challenge, then you are not alone! In the early stages, startups often don’t’ have the funds to splurge on marketing and acquiring customers. Event marketing at industry conferences through sponsorship and exhibiting can provide exposure, develop the brand, provide access to influencers, potential clients, investors, strategic partners, establish credibility, and attract talent – all in one shot if it’s the right event. But when evaluating events it’s often difficult to predict what the ROI will be and if your startup will be able to capitalize on the investment required to create a presence at industry events where the cost can easily be in excess of $2000. You also need to factor in the cost of travel, lodging, food and other incidentals, which can get expensively quickly when sending your team to an event. Fortunately for your startup, The Startup League has introduced a new and innovative program for startups to mitigate risk and assist startups with the marketing costs and fees associated with events by subsidizing at least 25% of cost of exhibition if the startups are members of the Startup League, where membership is absolutely free. If that wasn’t enough, the program sweetens the deal by providing your company its own branded swag (t-shirts, pens, badges, stickers, etc.) and other marketing support so that you have a professional presence as well as press through a coordinated press and media push surrounding the event. The Startup League is a free membership program offered by the domain provider Radix where member startups receive back at least 25% of the cost of exhibiting at various premiere startups events such as Techcrunch Disrupt, Tech Day, Launch, SXSW, Collision, and Rise just to name a few. 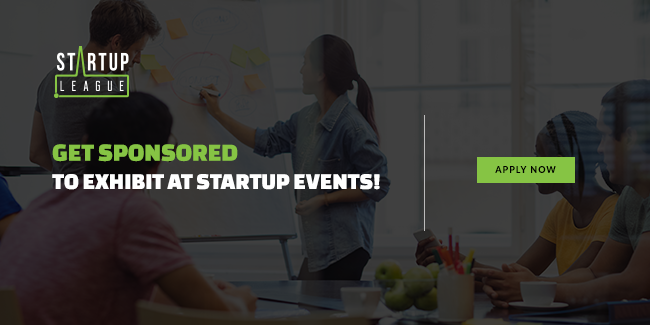 Any startup event is open to consideration and members of the program can submit their event plans to be reviewed by the Startup League team. To be eligible for this program, your startup must maintain an active website on one of Radix’s domain extensions which include .TECH, .STORE, .SPACE, .PRESS, .HOST, .SITE, .WEBSITE. AND .ONLINE. A number of startups have already taken advantage of this incredible offering since the program debuted at the Web Summit in Lisbon this past fall to praise. “The Startup League gave my startup great, well-defined brand recognition and exposure as well as many other incredible benefits that we had never even thought possible. Truly a unique program worth being a part of” remarked Morten Revill, CEO of aeracars.tech, a Norwegian startup focused on reducing emissions in automobiles. 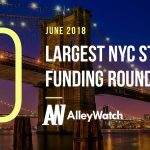 Can your startup afford to pass up on the next industry event where your next customer or investor is waiting to meet you? That doesn’t need to be a concern any longer thanks to the Startup League – your event marketing secret weapon. Sign up for free to become a member by visiting the Startup League right now before this deals goes away.